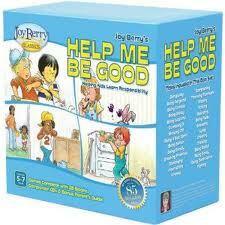 Help Me Be Good by Joy Berry. Series of books about topics children can relate too: being selfish, breaking promises, cheating, tantrums, etc. This entry was posted in Books for Children, Our Library and tagged Autism Spectrum Disorder, books, books for children. Bookmark the permalink.